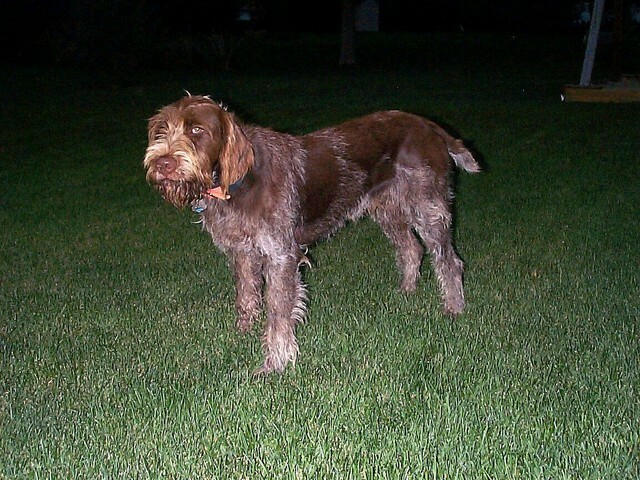 Bred to cover a wide variety of terrain, the Wirehaired Pointing Griffon is a dog of medium size, slightly longer than it is tall. The head and muzzle are square, with the top of the head rounded; occiput and stop are faint. Eyes can be of any shade of brown or yellow, and along with the dogs characteristic eyebrows and mustache, contribute to an overall friendly expression. The dog has an athletic and muscular build, with the topline sloping a bit toward the rear. The tail is docked between one third and half its original length, and is carried level or slightly raised. Feet are round and webbed. The dogs outer coat is harsh, wiry and straight, and of medium length; the undercoat is akin to goose down, and is very thick and fine. 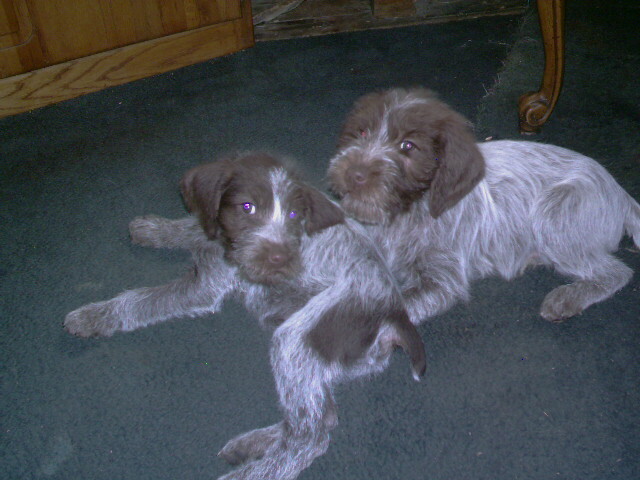 Coloring is steel gray with chestnut brown markings, or roan, brown and white; solid white, solid brown, and white and orange are also seen. 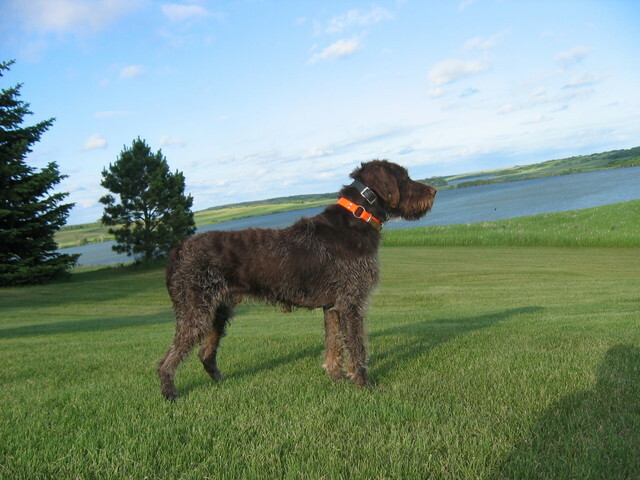 Height (Male) 22 - 24"
Common Misspellings Wirehared Pointing Griffon, Wirehaired Pointing Grifon or Wirehaired Pointing Griffen. This dog is tremendously devoted to his master and family, and demonstrates a keen eagerness to please. As such, training is pretty straightforward. 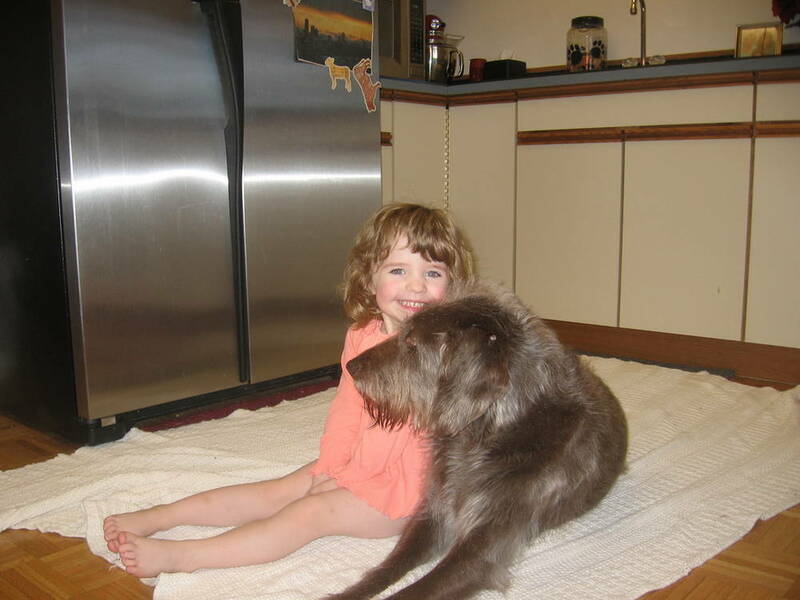 Though not quite as outgoing as say, a Labrador Retriever, the Wirehaired Pointing Griffon is nevertheless friendly toward children, strangers, pets and other dogs. 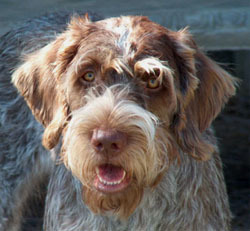 Often considered by its owners to be rather clownish, the Wirehaired Pointing Griffon is an amiable and fun companion. The quickest and most efficient way to meet the Griffons daily quota of physical activity is to let it run free in a field with other dogs. Otherwise, long walks, jogging and games of fetch will do. The Griffon is able to live outside in temperate climates, but being that it is a rather social dog, sleeping indoors with its family is preferable. Grooming entails biweekly brushing sessions as well as hand stripping every six months; also, take care that the ears are kept clean. 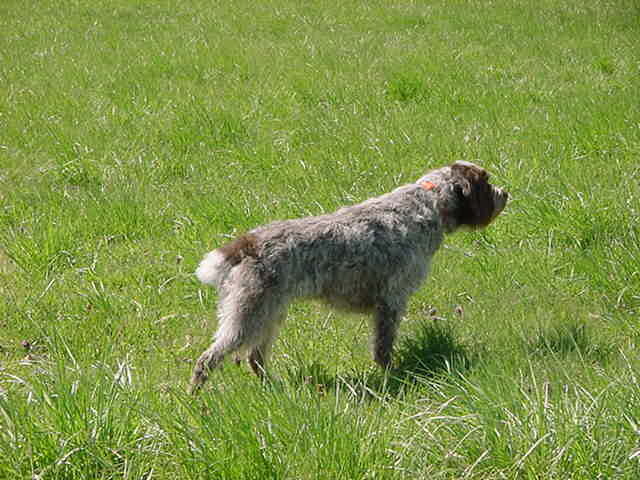 The Wirehaired Pointing Griffon is not known to carry any major hereditary conditions, but occasionally dogs of this breed will develop ectropion, entropion, otitis externa and canine hip dysplasia. 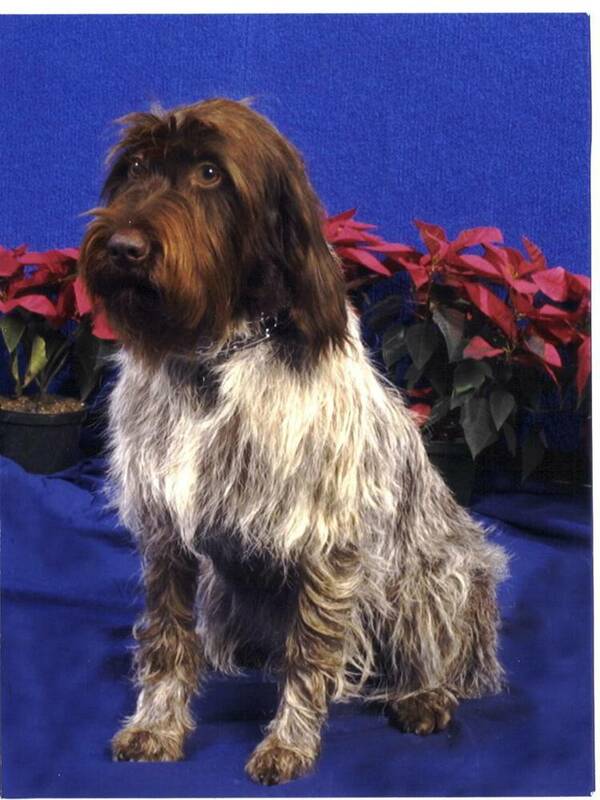 This breed was the brainchild of a Dutch sportsman named Eduard Korthals, who was interested in combining many of the sporting dogs of his time with the purpose of creating a uniquely versatile breed. 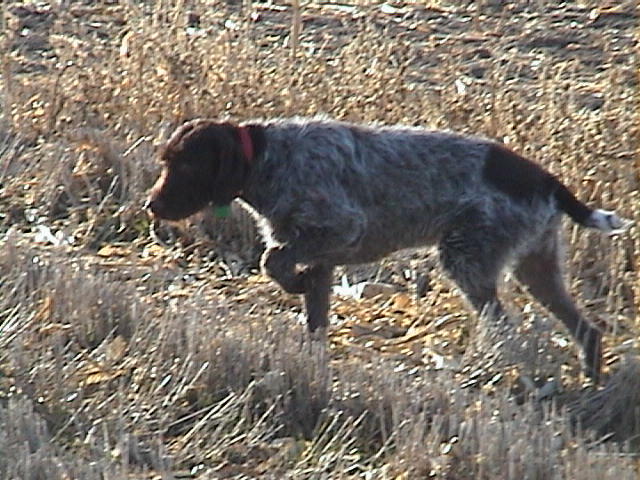 Dozens of dogs were bred in this pursuit, including Boulets and Barbets, as well as various griffons, pointers, setters, spaniels and retrievers. The new breed began to take shape in 1874, and soon after Korthals began touring France with the dogs, where they immediately caught on; the breed would soon come to be strongly identified with the French despite its Dutch origins. 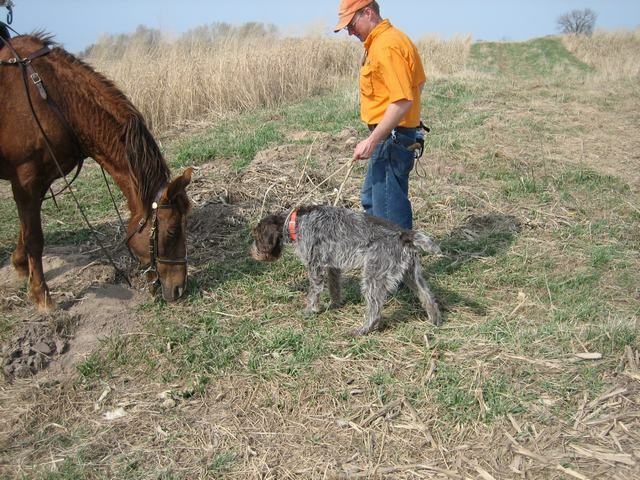 The dogs ability to retrieve, point and track by scent made it very popular in the field. 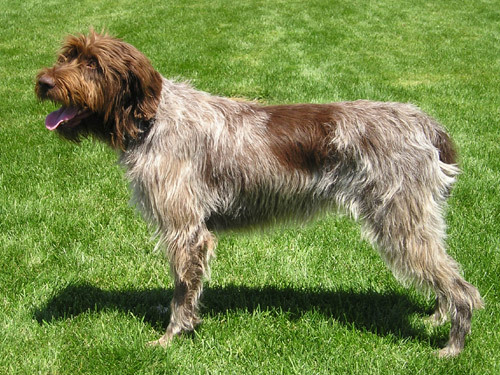 The Wirehaired Pointing Griffon was recognized by the American Kennel Club in 1887, though at the time it was known as the Russian Setter (another inaccurate national identity). The breed steadily climbed in popularity up until World War II, when its numbers dipped significantly. 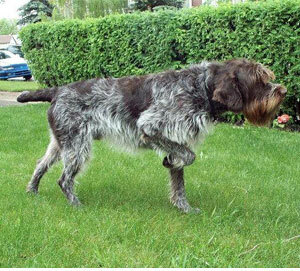 The Wirehaired Griffon never recovered its popularity, and today the breed has a small but loyal following.